TT2000 2019 - Best Laid Plans..
John Veldthuis March 24, 2019 March 24, 2019 No Comments on TT2000 2019 – Best Laid Plans.. This TT2000 was going to be my best planned one yet. I had two GoPro cameras. A hero 7 to take a time-lapse of the entire trip and a hero 6 for a view off my helmet. But alas that was not to be. 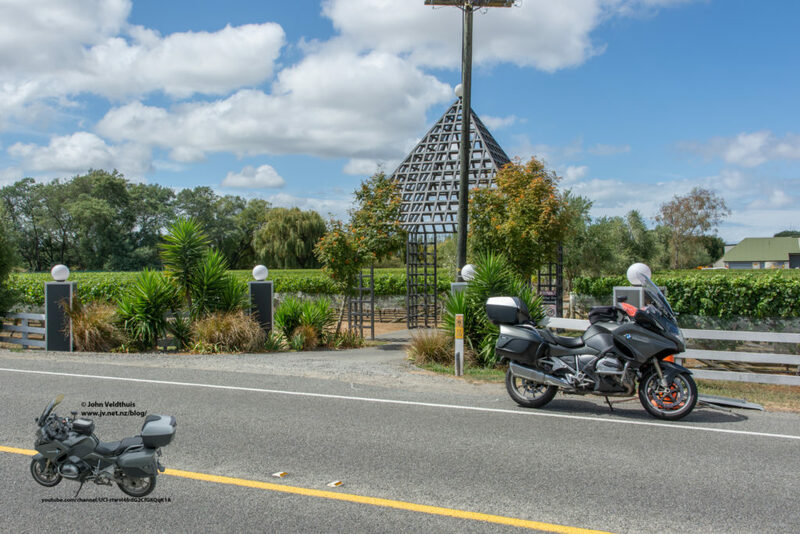 First off, a big shout out to Kiwi Riders Insurance whose roadside assist picked up my bike in 15 minutes and took it to where I needed it to go. 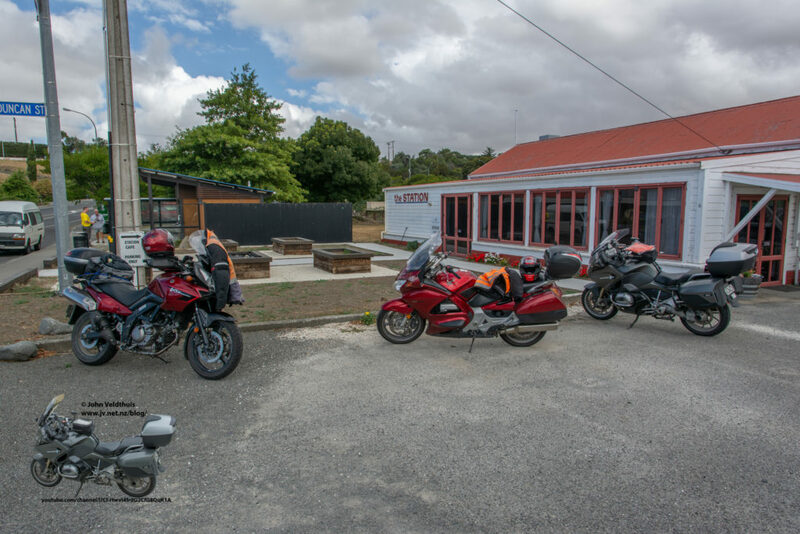 Also, a big shout out to Avon City Motorcycles in Christchurch who made the time to change out my battery even though they had more than enough work for the day. Without either this trip would have been a bust. Finally, a shout out to Wayne Poll who brought my tee shirt to Avon so I could start from there when I finally got going. Let’s start at the beginning and get the timeline right. I had the Bluebridge ferry and a cabin for the night so was allowed to board at 11:30pm and get a good sleep. Yeah right. I had planned to leave home around 6pm for a ride to Wellington to catch the ferry. Instead I had to leave early because I had to pick up an inhaler from the chemist. This meant a very slow ride down so as not to arrive too early. Think my maximum speed was 80kph and it took me 4.5 hours when the normal ride should take 3.25 hours. Anyway, it was a good ride down. Sat and waited until 10pm for the terminal to open and booked in and was told the ferry was running late and we would board at midnight. Midnight came and went, and it started to rain. Finally, at 1am we were allowed to board having lost 2.5 hours of sleep time. Woke up just as the ferry was leaving 20 minutes late and dropped off. Woke up at 5:20am and went and had some breakfast. It was raining outside and was deciding whether to get the rain suit out. We were about 30 minutes out from Picton. By the time we docked, and the doors opened we were an hour late and it was 7am. The rain had stopped so suit stayed in the box. The weather forecast originally was for rain the whole time but by Friday it was supposed to be showers Fri/Sat and rain Sunday. I was worried about the trip down the coast and was concerned I would not make it for the start so I started a brisk pace of about 110kph. Traffic was not too bad, and I was making good time. Just before Kaikoura, saw the start of the road works but again it was well timed, and I did not have to stop for long. They are making good progress along there. 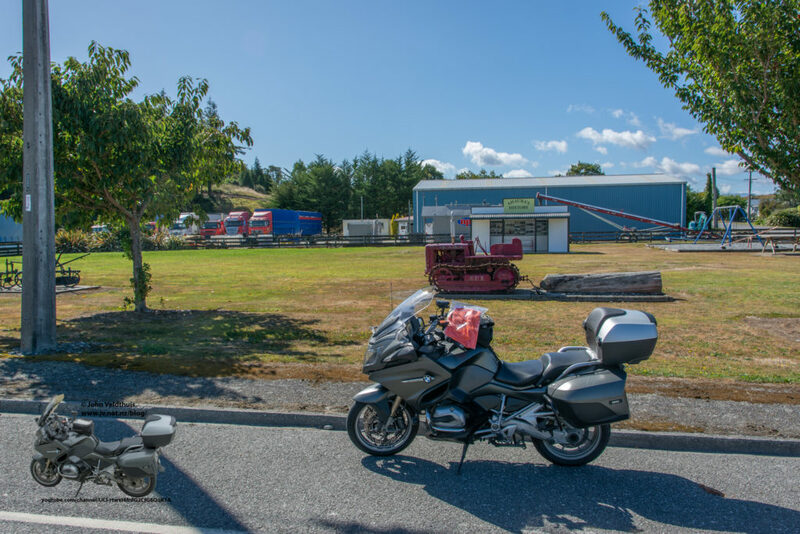 Past Kaikoura and past the road works I could again let the BMW loose again and arrived in Christchurch at 11am. Seeing I had an hour to spare I decide to fill up the bike at a Mobil station and the GPS found me one. I stopped and turned the bike off and filled it up. It was hot so I grabbed a drink as well. I had only stopped about 50 minutes earlier and the bike started fine then. No hint of the trouble to come. Anyway, I hopped back on and turned the key. The GPS came on and then I heard a rather large click and the GPS said turning off due to power being disconnected. 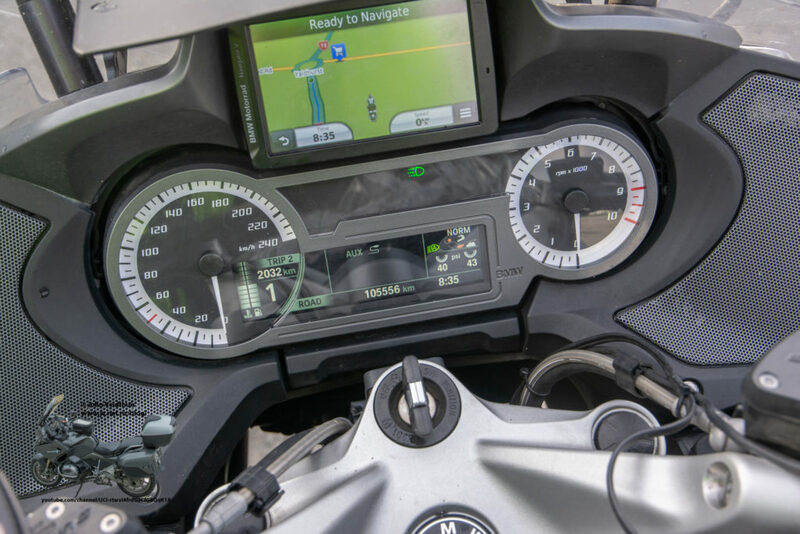 No matter what I did I could not get the dash up or the bike to even click. 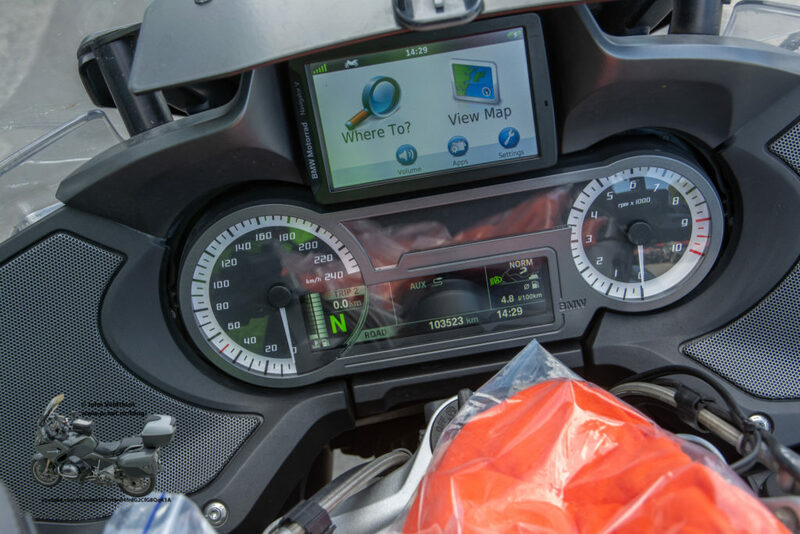 The GPS and radar detector would power up but zip for anything else. Called my normal BMW dealer and he suggested I call Avon City. I did that and they said they could not help me because they already had 3 bikes from the TT2000 they were fixing but if I could get it to them, they would have a look. I tried a push start and got a bit of reaction out of the dash but not from the bike. I then tried my jump start pack I was going to use for the cameras. This managed to get the dash lit up but it still would not click when I hit the start button. Now it was time to call the roadside assist and man did they get there fast and was soon on my way to Avon City. They tested my battery and reported it only had 4 volts and had most likely completely shorted out inside. They replaced it for me taking me through to 2pm and $301. They were awesome and got me out of a big jam. In the meantime, I had called Wayne and he delivered my Tee shirt and said I had missed an awesome start. So finally started my TT2000 2019 edition 2 hours behind my schedule. I had to leave the bike running for the day due to making sure it had a full charge so I could not hook up my cameras and it would have taken way too much time anyway. 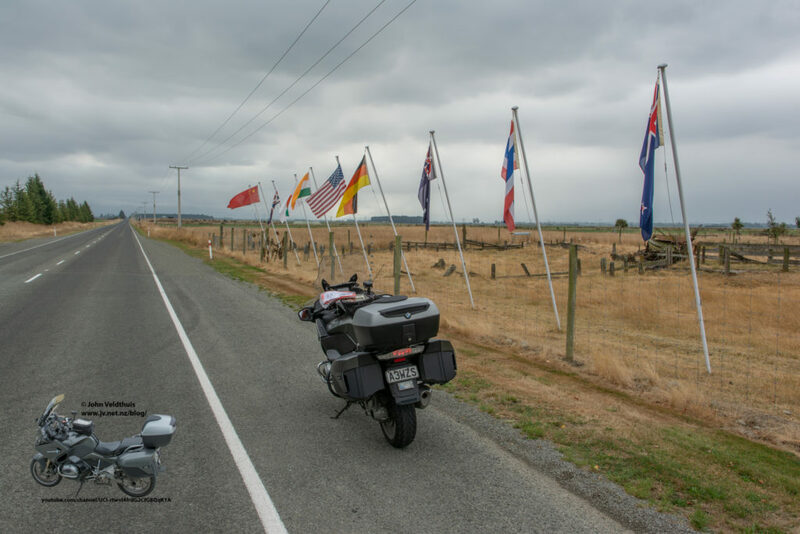 Made my way out of Christchurch heading for my first stop and it was very windy. 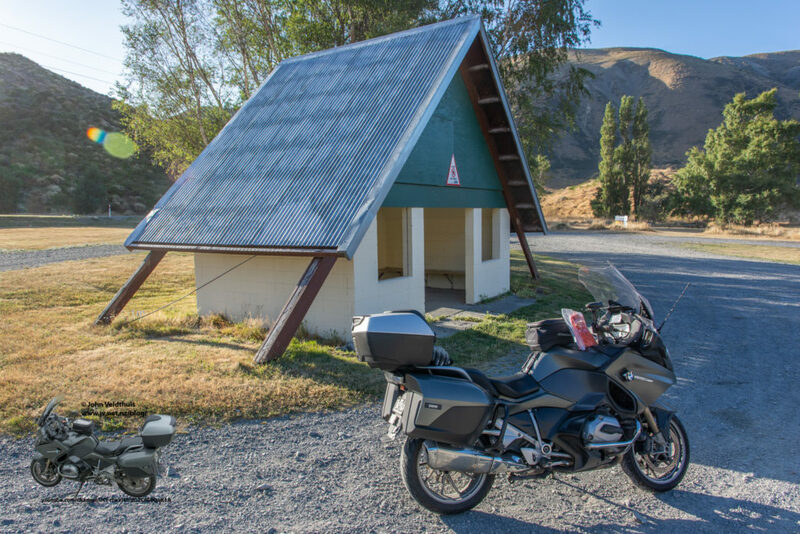 I was trying to make up some of the lost time and the GPS was telling me I would be in my overnight stop of Wanaka at around 10pm. 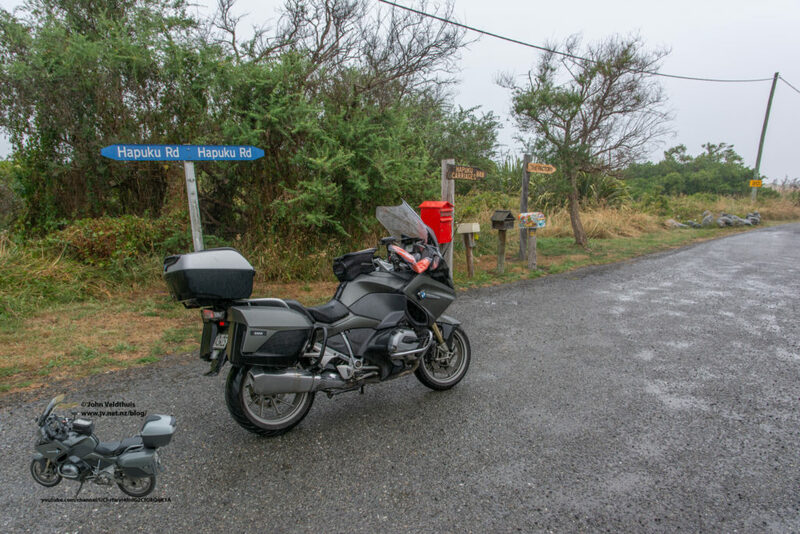 This years TT2000 had compulsory checkpoints that everyone had to have, a flyer check point and an adventure checkpoint. There were also four mystery check points as usually. 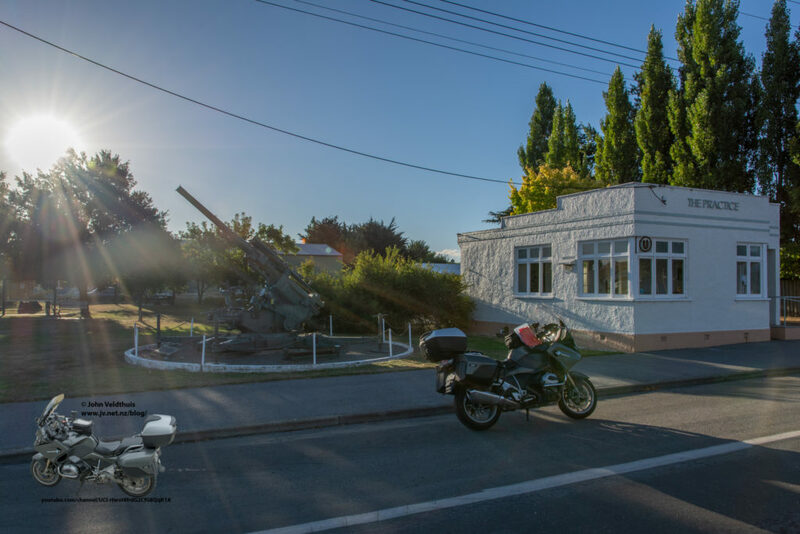 I was going clockwise around the South Island and my first stop was Ashburton which was 53 minutes out. Second stop was Mystery number 3 and only 30 minutes down the road. Kurow was stop number 3 and was supposed to be 1 hour 50 further along. I was wondering if the GPS had put me wrong as I thought I should be seeing the Waitaki river to my left. The map must have made it look close to the road because eventually I could see the point on the GPS and soon crossed over the river and got the check point. This was also my first refueling point. I was filling up about every 300kms just to give me plenty of room in case something was closed. Ranfurly was next, 2 hours and 20 minutes away dashing down the other side of the river and back onto SH1 before turning onto SH85 and heading inland. This is a nice road and time was there to be made up. The wind was getting up even stronger and I was getting blown around a bit. 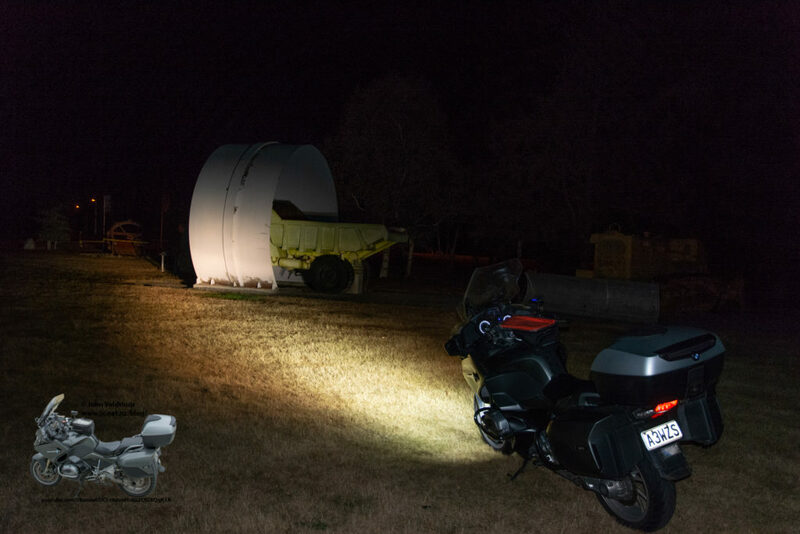 The bike however didn’t seem to notice it at all and Ranfurly soon appeared. Alexandra was going to be in final stop for the first day but I could not get any accommodation here 7 months out so it was now my second to last stop for the day. 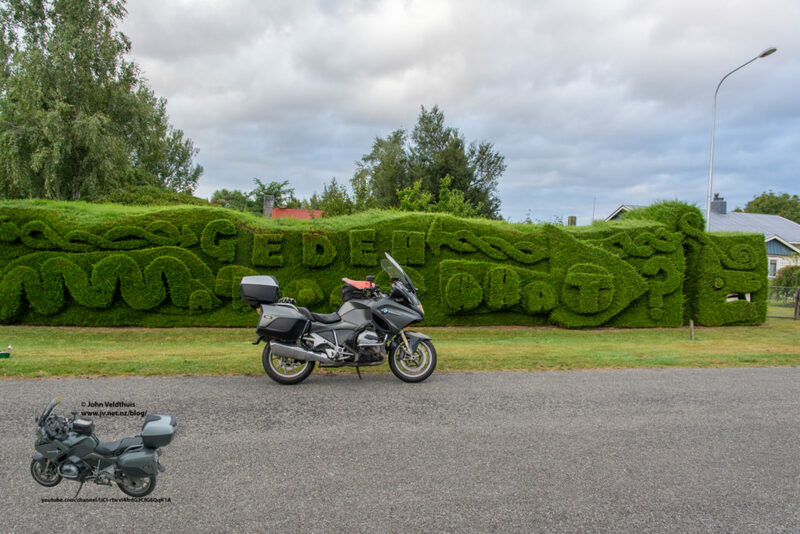 The bikes were rather hard to see on the side of the covered in grass and nearly shot past them. 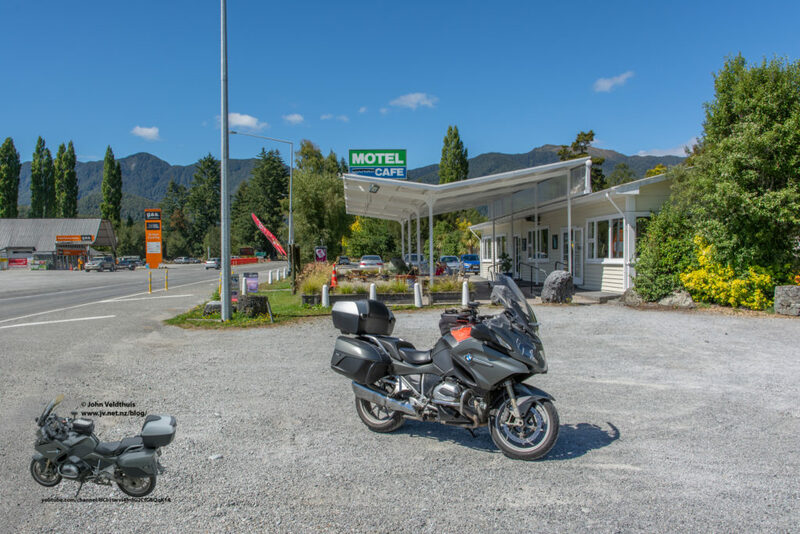 One my way to the last stop I passed through Cromwell and found some cheap Mobil petrol (get 21 cents off) so decided an early fill up and then on to the Luggate hotel for the Wanaka stop. It was getting now so I snapped off the shot and headed for my cabin for the night. 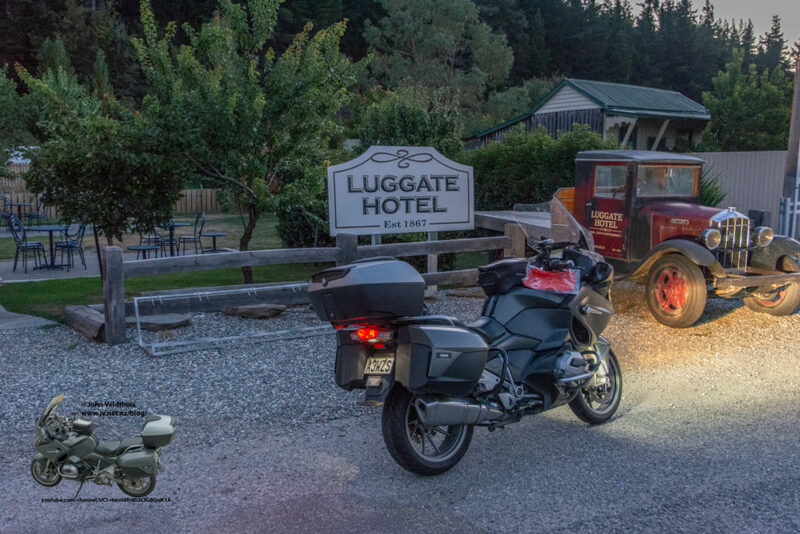 First though I filled the bike up with regular fuel at a 24 hour pump and went to the Holiday Park. I had arrived at 10pm and of course they had closed but a not on the door gave me the info I needed. I then shot into town to get something to eat. Nothing but fancy restaurants open. No maccers, KFC, Burger King, etc. The only gas station open had no hot food so a dairy it was for a soggy egg Sammy, a moro bar, and a coke. So ended day 1. Very eventful and not like I planned at all. I was going to up and away by 2:30am but seeing I was behind I decided to an extra sleep time and set the alarm for 3am. Before I went to bed I checked on how far I did. Plan was 632km and it was showing 633km so was sticking to the distance plan at least. Alarm went off at 3am and no where near enough sleep but I got up and put things back in the panniers and loaded the bike back up. Left the cabin at about 3:30am and the stars were out and no sign of the wind. Temperature was about 8 degrees so summer gloves and no jersey on in thought of it warming up quickly. Wow was I wrong. First checkpoint for Saturday was Mystery number 4 and it was hard to see in the dark. I would have missed it if it had not been in the GPS. Managed to get enough light from the bike onto it to light it up for the photo and away to the next checkpoint after outing my jersey on. I had the handle bar heaters and the seat warmer on at this stage as it was about 4 degrees. 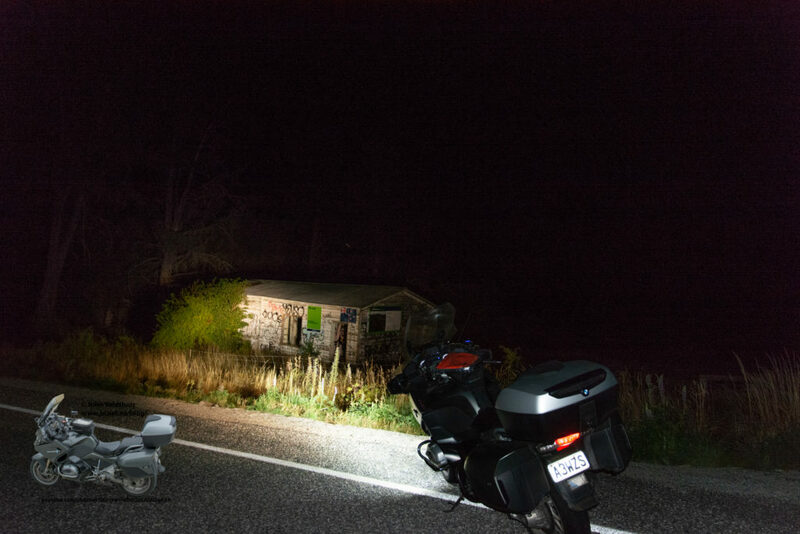 Twizel was stop two and in the dark this checkpoint was hard to see as well. Bit of circling and I found it and took the photo. Fairlie was next cab on the rank and it was getting colder and temperature was down to minus 1. All the heaters going full bore and my fingers were still cold. Fairlie checkpoint was easy and was off. Next stop was going to be re-fueling at Geraldine. As I came into Geraldine I saw that a café was open so I stopped and decided to have breakfast and warm up under the heater. Bacon & Eggs the order of the day with a juice bottle. All too soon it was gone and I had to carry on. Refueled the bike at the Z station and was off the find Mt Somers hedge. I was exactly 30 minutes behind my timetable which is how much later I started that morning. The hedge appeared and could not escape the camera and I was off heading for Lyndon to get a shelter. I soon got it and was off again. Moana was next and had to get a photo of the breakwater near the boat ramp. There was a couple of others here by then. I had not seen many other TT riders so far except for Andrew on his Honda Grom. Photo taken and was off to find Mystery number 2. Easy to see this one and it was soon in the bag and onwards to Maruia at Springs Junction. 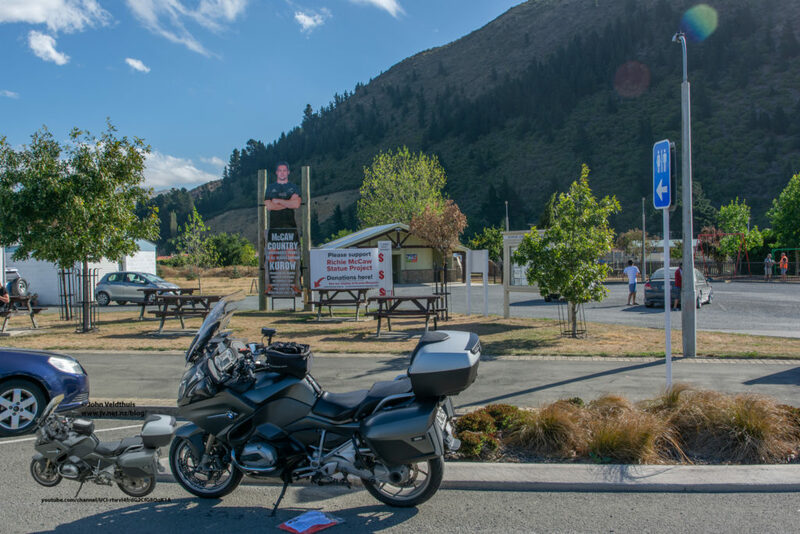 However a quick dive into Greymouth to fill up with gas just in case. 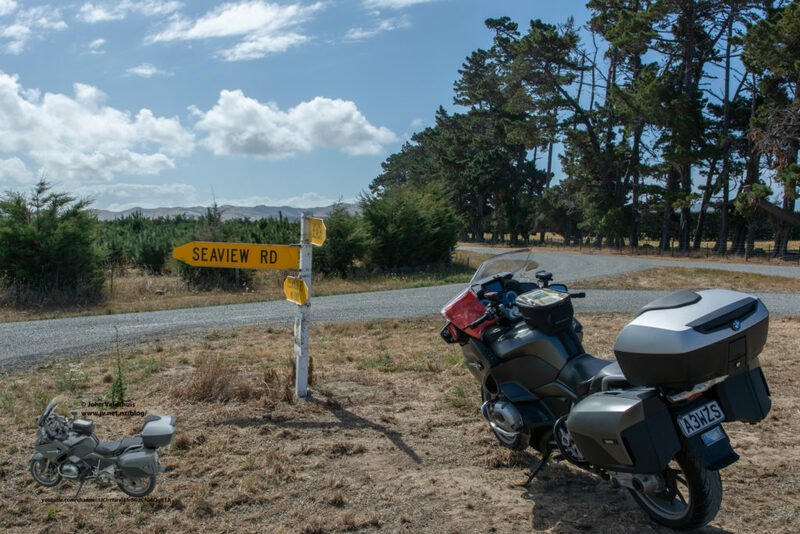 Photo taken and next on the list was Kawatri which had to have a photo of the Shelter at the junction of SH6 and SH63. I topped off at Maruia as well. Mystery number 1 was the next and it was hard to see and I nearly shot past it and a bit of hard braking to get the photo without having to do a u-turn. Just before I left here a couple came over (sorry can’t remember your names) but was helping organize the older TT’s. We had a chat for a bit and I carried on towards Havelock. This required a leg going up and then coming back the same way. Was seeing a large number of other TT riders now also. I got the photo and came back to nearly Mystery number 1 before hanging a left and going towards Seddon. 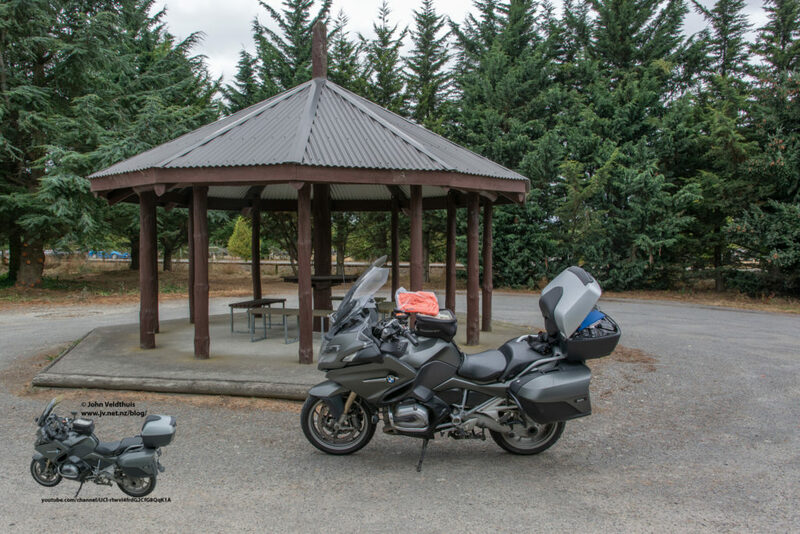 My next stop was Blenheim to refuel the bike. Weather had been great up to this point and I was warm but not hot. Seddon was next on the list and looking down the coast the weather did not look great. At Seddon it was still nice and my next stop was the Seddon Flyer. Mainly got this one for distance as I had plenty of points. One final checkpoint for the day and that was Kaikoura. However just before the roadworks started so did the rain. It looked like I could just push through it and come out the other side so I did not bother to stop and put the rain suit on. This didn’t happen and it followed me getting me quite wet. 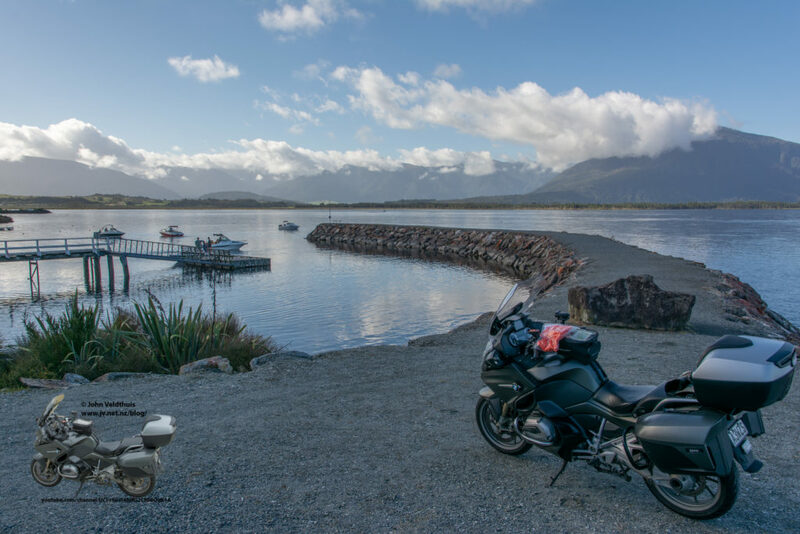 When I came down on Friday I saw a shortcut to the Kaikoura checkpoint but it was gravel and as I needed the distance, plan was to go nearly to Kaikoura and come back. As it was raining I took the shortcut and quickly took the photo and zoomed into Kaikoura Top 10 Park for my cabin arriving at 5pm, 30 minutes behind my schedule. Went into town to get some food and booze and what do you know, no Maccers, KFC, etc again. What is it with these South Island Towns. Settled for fish and chips. Still could not find a bottle store and finally found it just about outside of town and got 4 pack of KGB blacks. Went back to the cabin and had my tea and drinks and started drying things out. The rain never let up all night. A check of my distance for the day showed I was 16km short of my target and it was the shortcut I took that added up to this. Set the alarm for 5am and sleep well. When the alarm went off it was still raining and I packed things up and unpacked the rain suit. Had expected it to rain today though. Today was a short run to the finish and when I started the route I found that my arrival time in Christchurch was a bit early at about 8am. Damn I thought I could have slept another hour. 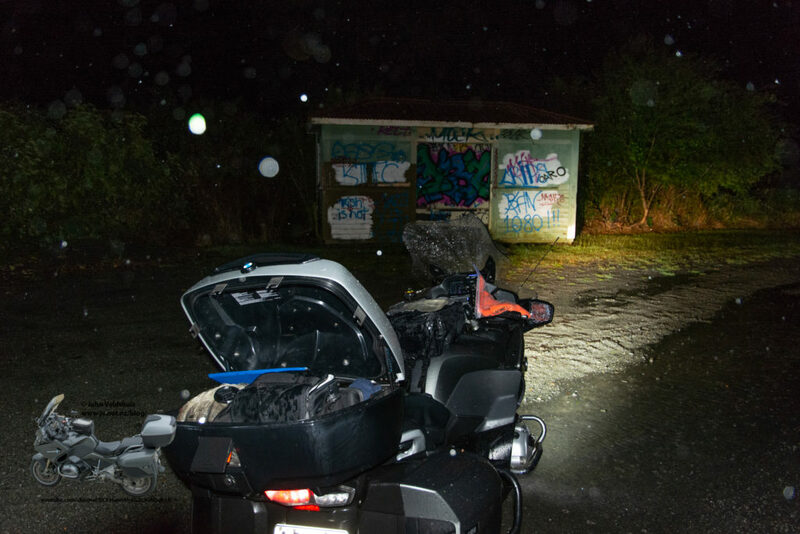 First stop in the dark was the Kaikoura Flyer and again it was a quick snap in the rain before carrying on. Was still wearing the summer gloves as I could use the camera with them on even though water goes through them. 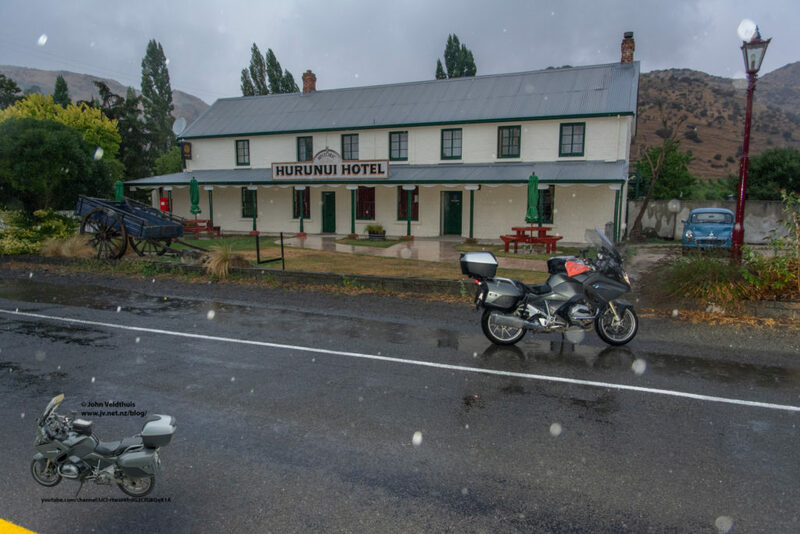 Next stop was Hurunui, but I had got stuck behind a truck through the roadworks who insisted on riding the brakes the whole time at about 20kph and I could not see a thing with the red reflections and the rain. Finally managed to pass him when he stopped at a light and was slow to start so I nipped past him.Next I took the right turn onto Leader road. I am picking this would have been a great road in the dry and daytime but in the dark and wet is was very slippery and had to take my time. At one point I thought I was doing about 120kph and looked at my speedo to note I was actually only doing 85kph. This would catch up with me later big time. Then came across some fresh seal and the way the bike was squirming under me the layer of loose chip must have been about an inch thick. Finally got this out of the way and was on the inland route road and Hurunui approached. Still raining so another quick shot and I have one more stop to make. Was going to do the Huranui Flyer but because of the rain I decided not to and headed for the finish at Christchurch. I was pretty much the only person on the road and I saw no traffic at all. Then on a long straight just before rejoining SH1 I was just cruising along not even aware of my speed when I spotted a cop car behind a stand of trees. At the same time my radar detector burst into life and so did his lights. I looked down and saw the speedo hovering just under 130kph. Damn I thought (well maybe worse language than that). I pulled over and he pulled along side and said he wanted to have a chat so I asked him where and he said right here. I turned off the bike and he had pulled in behind me by then. I opened the door and he invited me in and said not to worry about car. I was soaked and in my rain gear. Looked at his radar and it said 126kph. He said I was going a bit fast and I told him I was not even aware of my speed. We chatted a bit and he asked for my license. When I reached to fish it out he said never mind and got the info off my bike registration. I actually thought he might had taken pity on me and was going to let me off but no. He said something would be in the mail. I looked it up and $230 fine and 35 demerits. Sure enough a week later it arrived. Spoiled a nice finish. 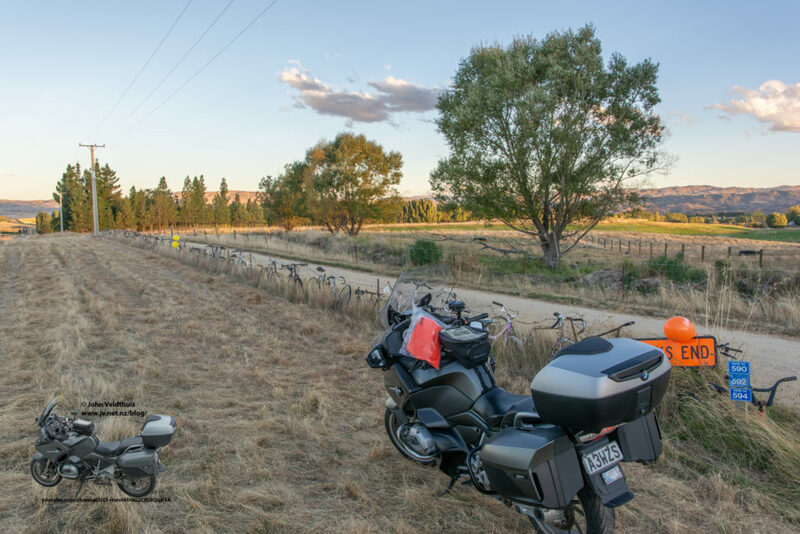 I arrived in Christchurch about 8am and looked to fill up the bike for the trip home and then headed to the finish line thinking I would get some breakfast before everyone arrived. Not to be as Wayne was setting up at 8:40am and processed me straight away and I shot off thinking I could maybe catch an early ferry. 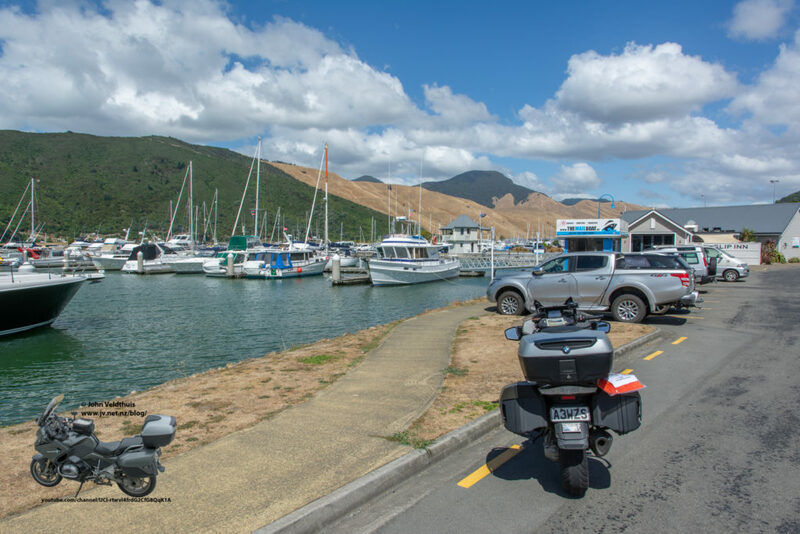 Managed to get to Picton quickly and was able to get the early ferry but had to board straight away so no breakfast stop here and it was 2pm now. Finally ate on the ferry and a reasonably crossing back. Wellington was clear but windy so no rain suit but got hammered with rain for the last hour before home. A nice trip but not like I planned. Glad I still managed the ride given the issues. Thanks Wayne for the organizing and the help.